Driftwood adds character to an aquarium. Wood, rocks and stones form the basis of the aquarium hardscape. Choosing the correct wood type and shape is imperative to a healthy and beautiful aquarium. There are different types of aquarium driftwood that come in many colors and shapes. However, any piece of wood cannot be used for aquarium driftwood. Aquarium driftwood needs to be cured & submersible, else it may leak tannins and discolor the water. 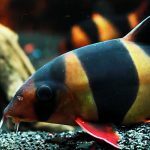 Below we cover the best types of aquarium driftwood and ways to ensure what you add to the tank will not pollute or contaminate the aquarium water. 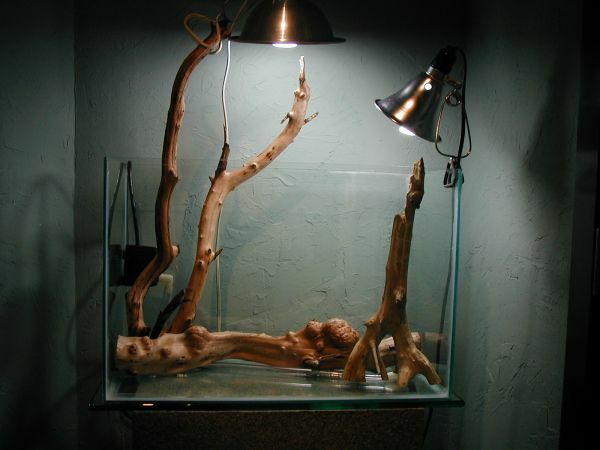 Here is a list of recommended wood types that can be used as aquarium driftwood. 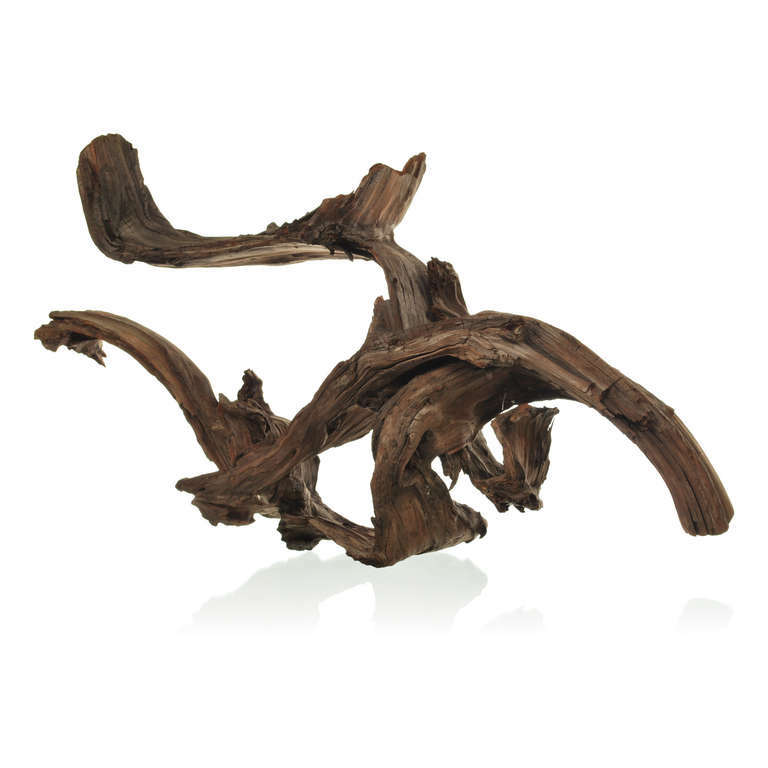 A branchy and popular style of wood that has a strong following in aquascaping. It can be more pricey to purchase but a sound long term investment. Ensure the wood has had ample time to cure. Do not use ‘raw’ or freshly fallen wood as it will pollute the aquarium. 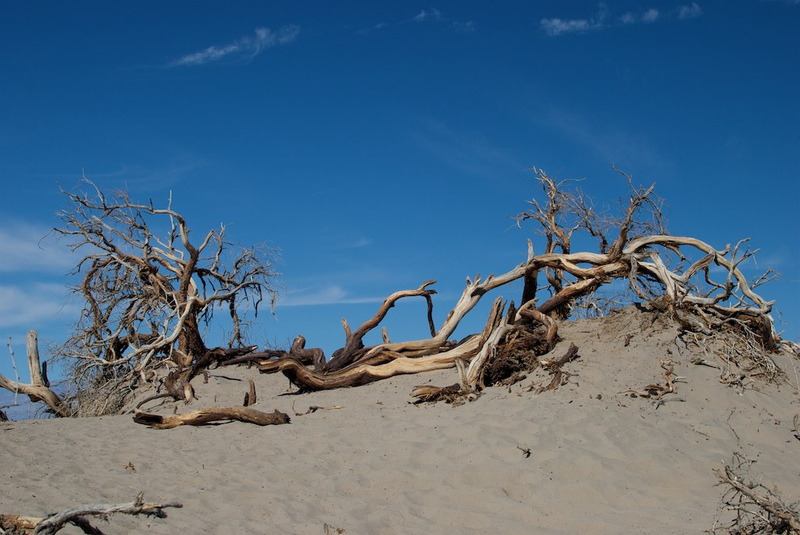 The image below shows the diversity of Manzanita wood. Pieces can be large and twisting or very fine and intricate. For this reason Manzanita is a popular choice for many different sized aquariums. A solid and thicker style of wood. Which can be found Here. Unusual branching and suited to large aquariums. Excellent at reducing pH and softening water. It can be identified by its distinctive solid structure, bi-tone colours and nobule like growths that protrude from its lengths. Mopani is a stronger wood and an excellent supportive base for more intricate plants or driftwoods. 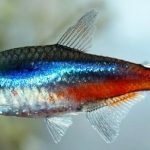 It is also very popular in the aquarium hobby and can be found in most LFS. A beautiful patterned style of wood. Which can be found here. Difficult and often expensive to obtain it should be purchased if found at at low price! It can be easily identified by it’s hole-like structure as seen below. Chola wood is unlikely to last as long as more solid varieties. 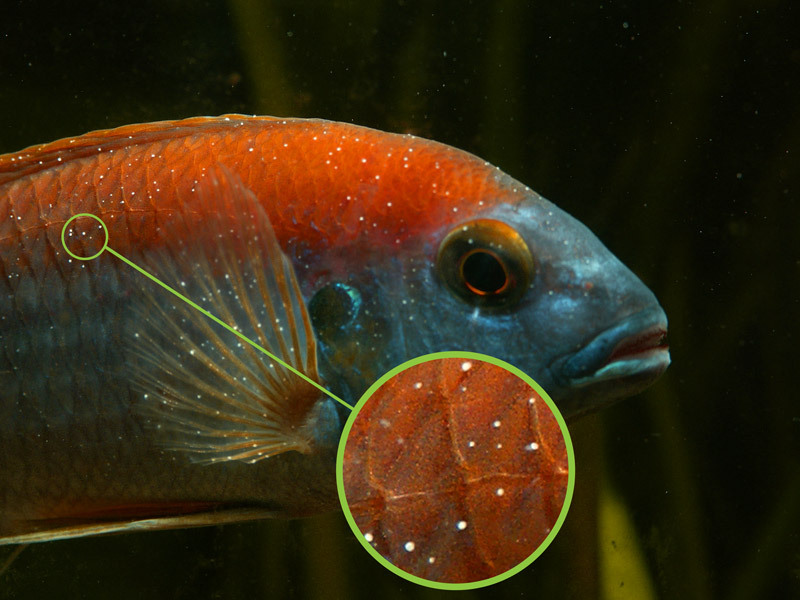 Fine stemmed or intricate patterns tend to wear away the fastest in the aquarium over a period of years to months. Solid and often purchased as larger pieces of wood. Can be found Here. Perfect for very large aquariums and less commonly smaller aquariums when smaller cuts are found. This wood can be identified by its distinctive orange color. For this reason it also has a higher risk of leaching tannins. Read below about curing wood! Unusual and thick branching wood. Which can be found Here. 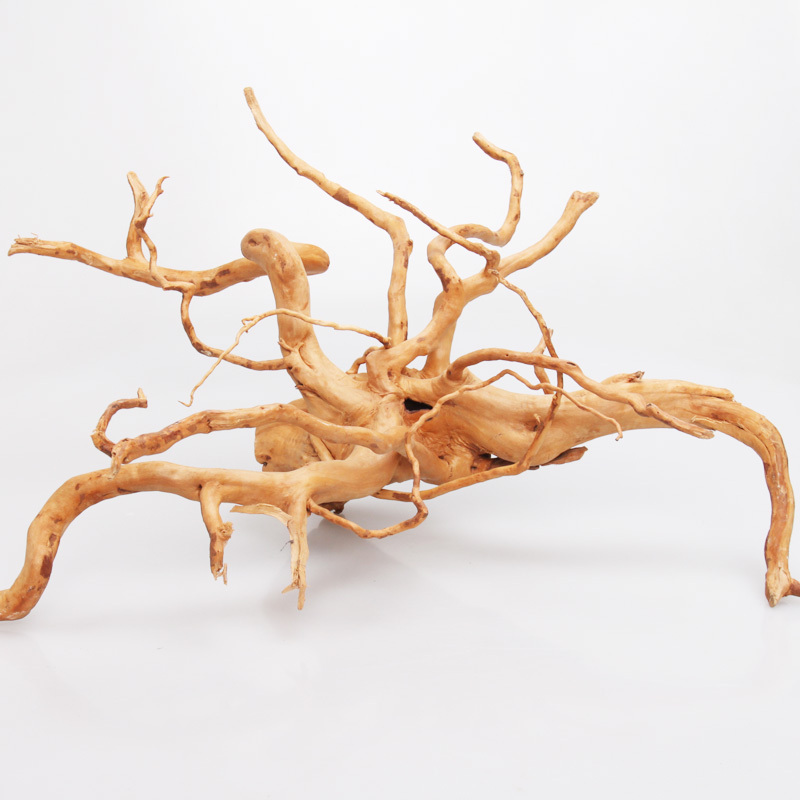 This driftwood can create dazzling effects by having the roots branch down into the substrate. It is commonly used in aquascaping competitions. Aquarists use it to emulate forrest trees and large root systems that flow down into the water column. 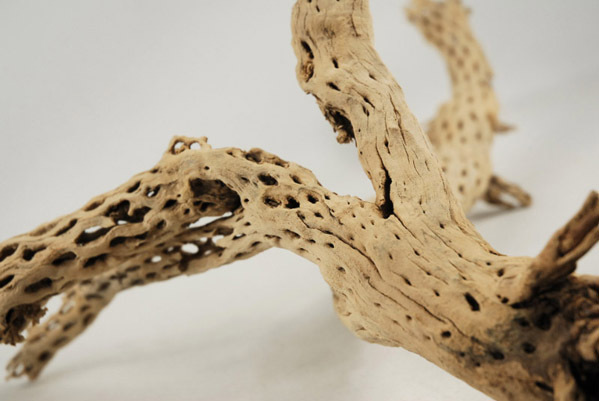 A suitable and beautiful driftwood for the aquarium. Beautiful branching driftwood. As seen below Mesquite can often be sourced in very large pieces. Whole, cured pieces can be extremely expensive but also very intricate and beautiful. 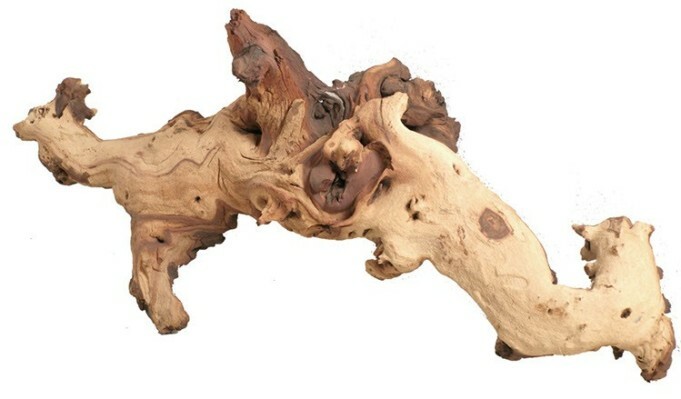 Mesquite is a great choice for aquarists with very large aquariums that seek a single piece of driftwood. 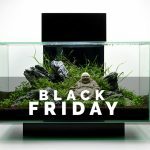 Although it is still a great choice for aquarists with smaller aquariums. Larger pieces of this wood are often broken down and sold in smaller batches. This usually nets the highest return for the seller. Will often require curing, read below! Due to its darker nature, it will often need curing. Ribbon wood is excellent for smaller aquariums that need a dark driftwood. It works very well with lighter substrates. Ribbon wood has beautiful curves and a textured finish. It is a great choice for a river style aquarium. It’s dark color also works to contrast with plants such as java fern and anubias. Thick tubing wood that should be reserved for taller tanks. It can develop beautiful root systems which are expensive and highly sought after. Beefwood is a great choice for attaching plants and ferns. It can be difficult to purchase and will likely require seeking out a private seller. It is rarely sold in LFS. Not the most desirable type of driftwood but a heavy sinking variety of wood that is useful for lower hardscape or softening water. 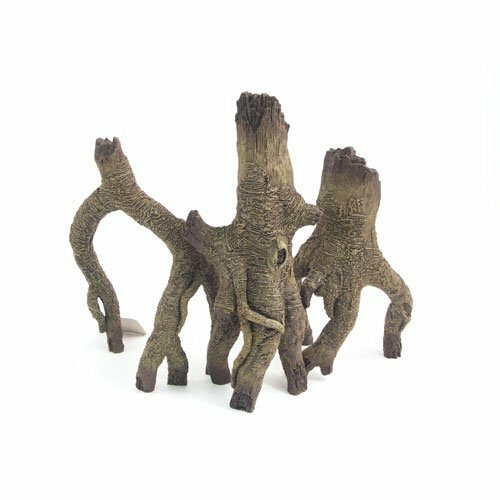 It’s strong and dense structure makes it ideal for use as a solid base for more intricate driftwoods or plants to be placed on top at low cost. Another variety that can be an excellent choice for larger aquariums. Large uncut pieces are rare and expensive. It’s flowing nature makes it attractive not only to aquarists but house designers. It has a beautiful lined texture which can be seen below. Madrona Driftwood is solid and will outlast most aquariums. A brilliant yellow colored driftwood. 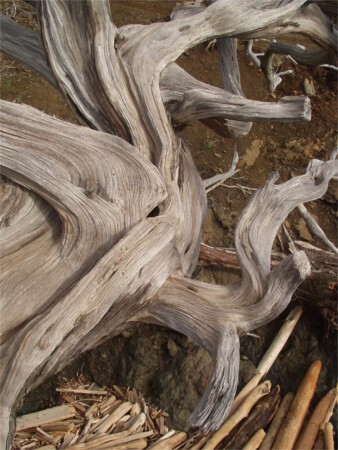 Some Rhododendron driftwoods contain grayanotoxins, which can cause stomach, heart, and nerve damage in humans and animals. This type of driftwood is not suitable for the aquarium. It has not been documented whether the toxins have effect on fish and exactly what concentration is toxic. Ensure you are purchasing from a trusted supplier that is selling an aquatic variety suitable for aquarium fish. ‘Water Azalea’ often sold under the name ‘Spiderwood’ are a water azalea from Asia that are suitable for the aquarium. They often have beautiful branching structures and it should be noted that fine ‘vines’ protruding from the wood will often rot and disintegrate within 6-12 months. Rhododendron Driftwood should only be purchased under these confirmed circumstances. It is not worth risking toxic pieces that may harm your fish. Aside from this, Water Azalea is a beautiful addition to any aquarium, small or large. Similar to Rohdodendron it has many branches. 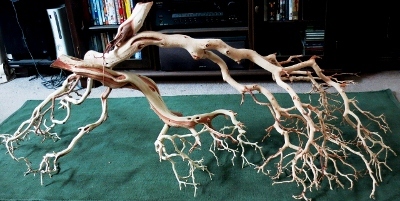 It is also a type of driftwood suitable for an aquarium centrepiece. Due to it’s intricate nature it is often very popular in small aquariums. 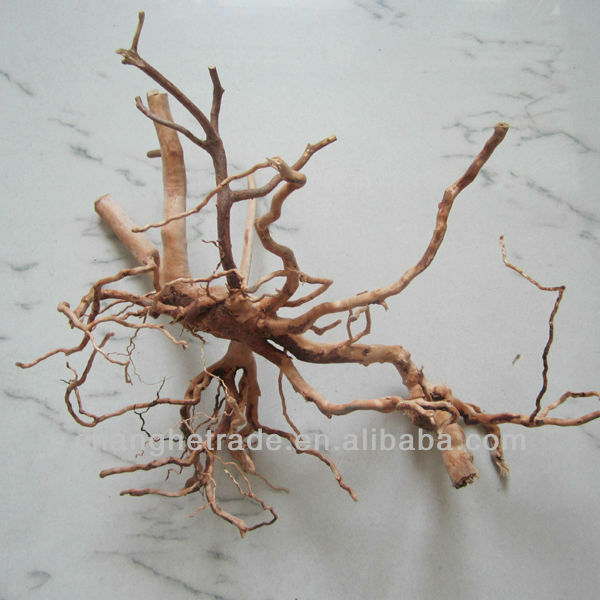 Azalea Driftwood can have very fine branches which will not last as long as the thicker ones. Thicker branched varieties are always recommended, thin intricate pieces look beautiful but are far less likely to last over time. Western Hemlock Roots Driftwood is often found in very large pieces such as that below. Another excellent choice for very large aquariums. Pieces of that size are extremely rare so be prepared to pay a high price for a large or intricate piece. It is less ideal for small aquariums. This is because it’s personality and patterns can only be recognised from distance. 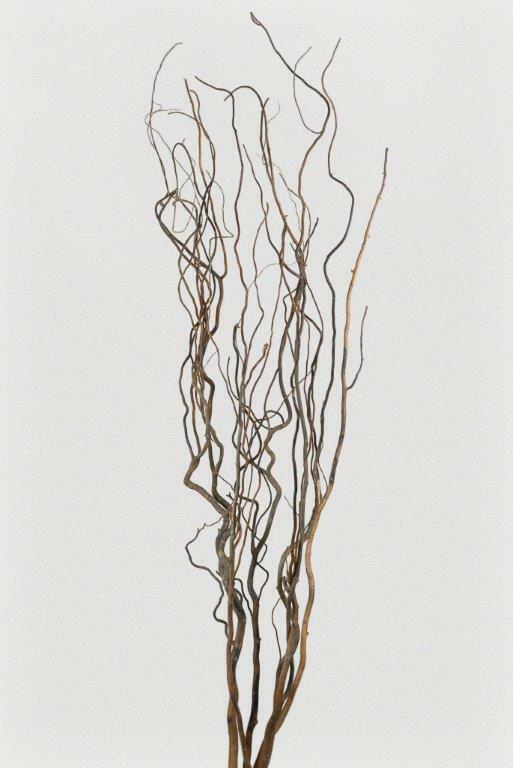 Corkscrew willow has very thin and stringy branches. These can make a wonderful effect, but will not last as long in the aquarium as other varieties of driftwood. A very nice ‘blanched’ black and white coloration. This wood is an excellent addition to minimalist aquariums. It works well with darker substrates and bright green plants. It is suitable for both large and small aquariums. Linden trees is an unusual and seemingly rare driftwood. This is most likely due to the unlikely possibility of natural Linden Driftwood. However, from time to time, professional driftwood curers have cured such wood and the results can be stunning. 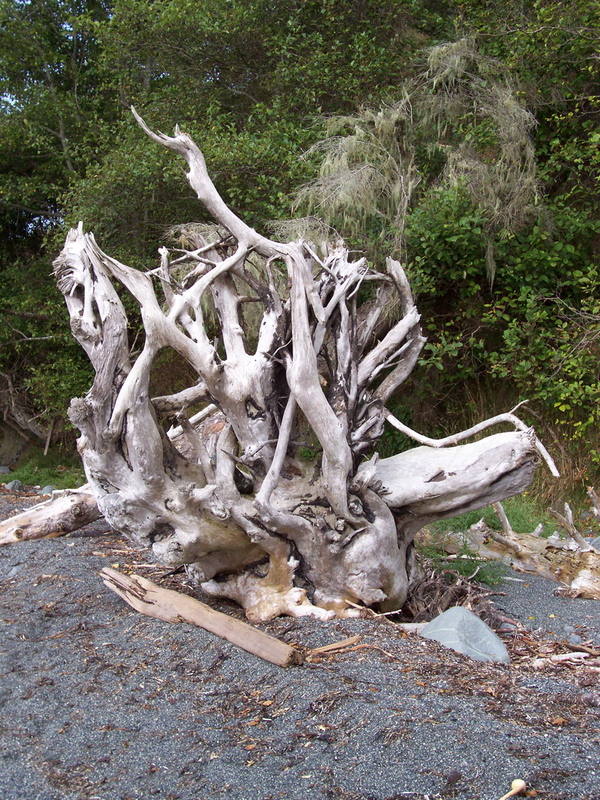 Always keep on the lookout for unusual or intricate pieces of driftwood. 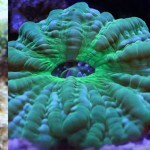 Before adding the aquarium driftwood to the aquarium or undergoing the curing state it will need to be cleaned. This is simply done by using a clean but soft brush and gently rubbing it over the driftwood branches under a tap. This can help dislodge dust, loose particles and will help make the wood aquarium safe. Do not use any cleaning products or soap. The wood is porous and will absorb these harmful chemicals releasing them later in the aquarium. 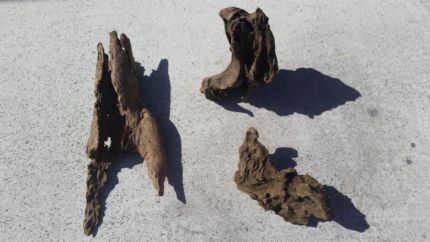 Aquarium driftwood is best when it has come from natural riverbeds and streams as it is ready for the aquarium. Even so, aquarium driftwood may be buoyant until it has become completely ‘waterlogged’ and filled with liquid. Aquarium driftwood is also often unintentionally sold uncured. This means the wood may have never been submerged in water and will need to be put through a curing process to release excess tanins that would otherwise end up in your tank. Curing the wood can be done by soaking it in a large container of water for 1-2 weeks. If the wood floats on the surface, use a heavy weight or rock to keep the wood at the bottom of the container. Place the aquarium driftwood in the container and fill with water (preferably hot). Monitor the aquarium driftwood over the next few weeks. You will notice the water begin to turn a light brown tea color. Changing the water a few times will help this process and will give a more accurate insight into the level of tanins leaching from the wood. The wood can be left for longer periods if the water is still dark and stained at the end of the two weeks. Smaller pieces of wood should be placed in boiling water to open the pores and leach the tanins. These pieces should then be submerged in a larger container to help them become waterlogged and sink in the aquarium. Aquarium Driftwood should be placed in a secure and open spot in the aquarium. Like any hardscape good water flow is important to avoid the collection of detritus around the base and branches. Plants can be and should be attatched to the driftwood before it is placed in the aquarium. This can be done with elastic bands, fishing line or metal (no copper!) wire. 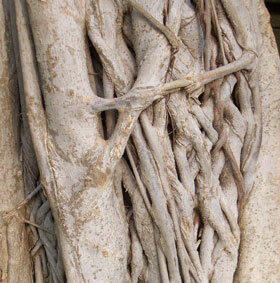 Once the plant has grown a root system onto the wood, the line or bands can be removed. 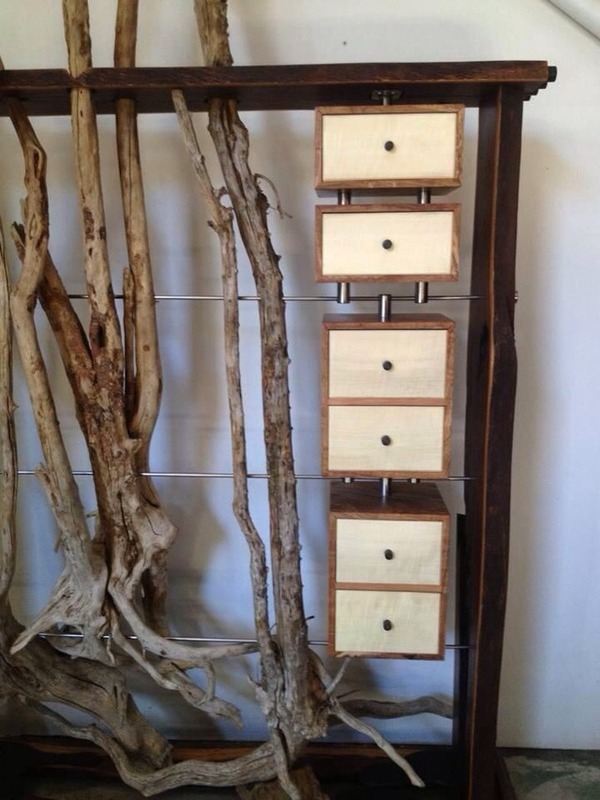 Driftwood should be placed one third from either side, especially if it is a focal point. Centre focal points and generally uncomfortable for the eye, try to weight the wood to one side or the other. Firmly push the wood into the gravel and secure with stones and rocks around its base. If the branches are too long they can either be left (open top tank) or sawn off (usually above the surface to keep the illusion that the wood is branching out of the water. Enjoy the placement of your new aquarium driftwood! hi, just a typo, its cholla wood, not chola. and very good info by the way. I am concerned about some of the woods you promote. For example, Rhododendrons contain Grayanotoxin which is deadly in doses of as little as .2% of body weight. I wonder how safe it is for plecos and other fish who rasp on wood, or even swim and swallow amounts leaching from the wood. Comments welcome. Thanks Norm, I have updated the post to highlight the emphasis on Aquatic Rhododendrons such as ‘Water Azalea’ commonly sold from Asia. As you correctly point out, Rhododendrons do contain Grayantoxin which is toxic to most organisms. Simply taking weathered Rhododendron and handling or using in the aquarium is both stupid and dangerous. There are select sellers that specialise in Aquatic Azaleas (‘Spiderwood’, ‘Yafeng’ etc) that make for excellent aquarium centrepieces. For that matter, anything placed in the aquarium should be heavily researched before doing so. I appreciate the comment and have updated the post. I am looking for information about red moor wood. Is it the same/ similar to azalea root? Where do they come from? I’m in the first stages of building a 36x18x18 paludarium and have the intention of including a waterfall that would flow though the wood. I’m wondering if you had any suggestions for a durable wood that is well suited for aquatic and land use. I don’t want to use multiple wood species and would prefer to stick to a single wood species though out the tank. Also would like to note, I found your post to be very informative so thank you very much. I was wondering if a gumtree branch/ wood would be okay? Also wondering about the gumtree wood if it is indeed aquarium-safe. Is the Contorted/Corkscrew Willow safe for fishes? Surely?! I want to use it. How can I do it exactly? Hi, thankyou for a great website and informative post. I wonder if you can tell me the species of Malaysian red wood used in aquascaping? I recently travelled to Malaysia and was saddened by the widespread clear-felling of their rainforests (sometimes illegally, allegedly) for either horticulture or palm plantations. When I ask about the source of the wood in LFS here at home in Australia, they don’t know where or how sourced, understandably. I wouldn’t have considered this an ethical and environmental issue before, but since seeing it myself, I want to make informed decisions as much as possible. I guess I can use other wood too! I was wondering what species of tree is the ribbon tree and where can you get it? Hi, I was wondering in Liana Root is aquarium Safe? What about red oiser dogwood branches? Any thoughts? I am wondering about Mohave Coral wood (Moco), I found it advertised for terrariums, wondering if it’s safe for aquariums, what it might do to water conditions. Thanks, I really liked this article.